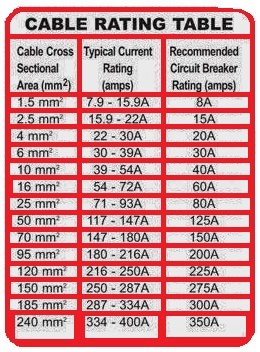 Thank you for reading the article about Cable Rating Table on the blog NEW TECH If you want to disseminate this article on please list the link as the source, and if this article was helpful please bookmark this page in your web browser by pressing Ctrl + D on your keyboard keys. Why To Password-Protect Your USB Flash Drive? Is Facebook Afraid Of Google Plus ?